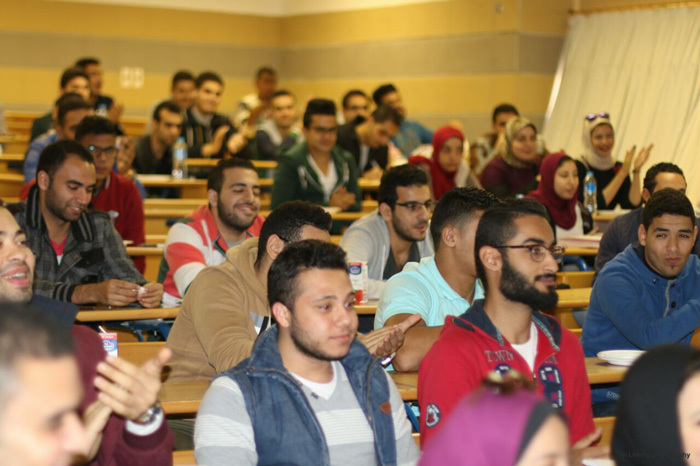 Under the auspices of the Student Activities Department, the Construction Engineering and Management Department held an orientation session of the department for the newly-enrolled students on Tuesday 29/11/2016. 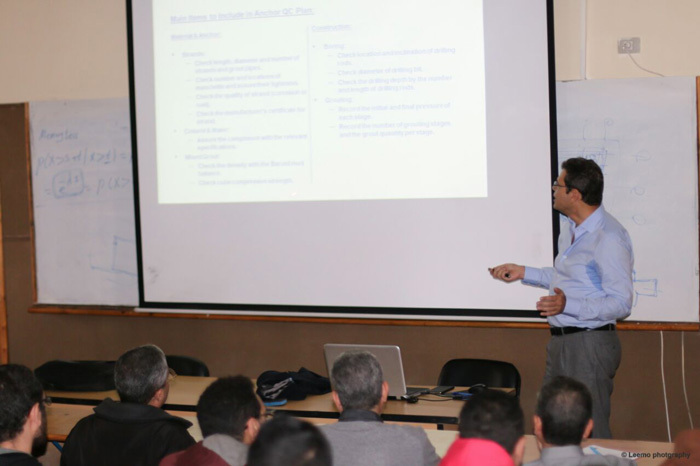 The orientation session was held in the presence of Prof. Mohamed Gaber Abou-Ali, the Dean of the faculty, the head of the department, the faculty members, the teaching assistants staff, along with a large number of the department students. 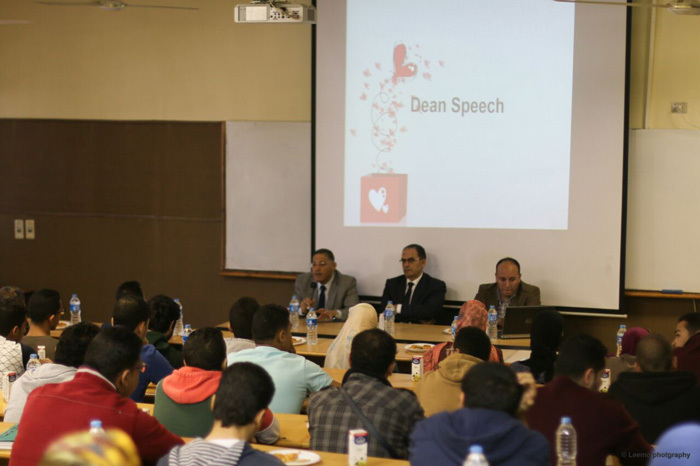 A number of welcoming messages were directed to the new students by the Dean, the head of the department, and the faculty members at the beginning of the session, followed by a presentation of all the department activities. By the end of the session, discussions were opened for the students’ enquiries.